Take a look at who won the Public Events Random Playoff this weekend in Kansas City, MO! Take a look at who won the Public Events Points Playoff this weekend in Kansas City, MO! North America WCQ: Random Playoff Winner! Take a look at the winner of the Public Events Random Playoff here at the 2018 North America WCQ! Congratulations to our winner of the Public Event Points Playoff! 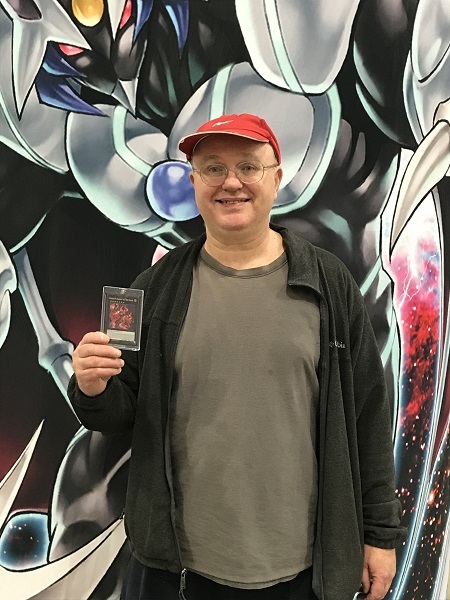 Paul Silverman from Connecticut won a Super Rare Number 89: Diablosis the Mind Hacker with his True Draco Deck! We have the winner of the Random Public Events Playoff for the 2018 Central America WCQ! Congratulations to the winner of the Public Event random playoff! Congratulations to the winner of the Public Event points playoff!